I’ve done the release team duty for the GNOME 3.13.3 release this week. As I often do, I took some screenshots of new things that I’ve noticed while smoketesting. This works not just for media sharing, but for file sharing and screen sharing as well. There are more things to discover that I could not capture in a screenshot. For example, I noticed that GNOME shell now remembers which workspace windows where on when you disconnect and reconnect external monitors. 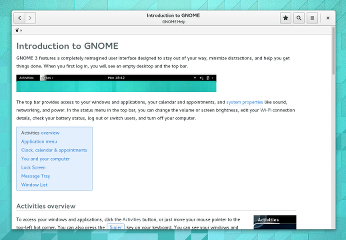 If you want to learn more about GNOME 3.13.3, you can study the release notes (here and here) or you can try it out in Fedora rawhide. Richard has also set up a copr repository for F20. This is also a good occasion to announce publicly that we are aiming to have GNOME 3.14 in Fedora 21 – it may be a little tight, schedule-wise (the GNOME 3.13.91 beta release happens on Sep 1, a few days after the beta freeze for F21), but we’ve been able to squeeze things in, in the past. Looks excellent! I love that there is still attention being paid to the “papercuts” style of bugs, like keeping the workspace consistent when switching monitors. I use Gnome 3 for everything I do, and I will keep doing so in the future, because it’s beautiful, functional, and very polished. Looking forward to using the dark variant theme. A couple of months ago I managed to persuade my employer to let me install Fedora on my company-issued MacBook Pro, because I needed to get some actual work done. In one fell swoop, 3.13.3 has fixed both of these. Fedora 21 is going to be a *huge* upgrade for anyone still on Gnome 3.10. Will there be a big friendly “Upgrade to Fedora 21” button in Gnome Software? That’s great, add that capability for network-dependent proxies and everything will be so neat! Both of the links for release notes are broken for me. Release note links do not work. Could you post some documentation on the changes to Adwaita, or a side-by-side comparison screenshot? +1 to the other comments; also need to say that I am a simple man with simple needs and I love the super-clean LNF that Gnome has stuck to. Everything is nicely spaced, easy to read and simple – not trying to excite my eyeballs with gradients everywhere and special effects. and the official FreeBSD support by Gnome team? I really appreciate Adwaita as a very clean and coherent theme. * Language list footer buttons. The borders should be square. Like the gedit footer. * Calendar buttons should be square too. Seems hard to click, and even touch. 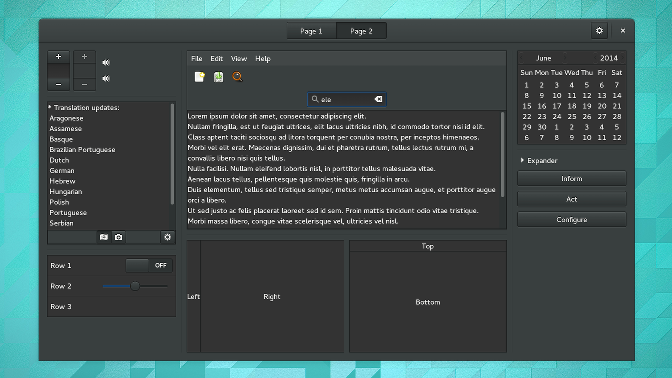 I have switched to MATE for the simple reason I can configure it to look like Gnome2 COMPLETELY. I want a fast easily configureable desktop that does what I tell it. Gnome3 hides it’s configureability and gives me what some one else think’s is cool locked in. Looking great! Keep up the good work! Great, now Evince is ruined. Can´t you just wait until CSD apps work well outside GNOME? If you don’t want to make your apps work without GNOME just put GNOME as a dependency or something. So, with the Adwaita ( The only one) theme being part of GTK+3.13, will we be able to use third party themes or will theming be depreciated in Gnome 3.13/3.14 completely? That’s really nice news.. how about adding network-aware proxy settings as well? Why did you remove the borders from Metacity? The new CSD is ugly! Please, could you insert an option to enable the old decorations via Metacity? Open your mind! Don’t be self-centered! 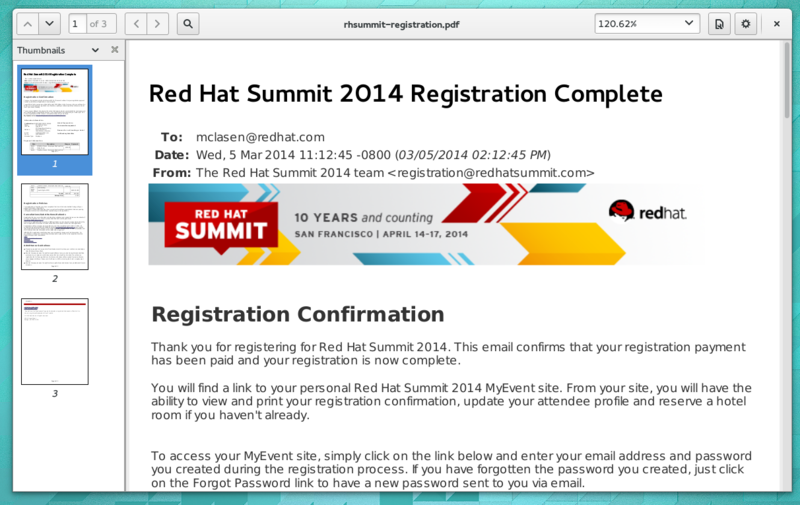 Well, I’ll try Gnome again with CentOS7… and Gnome 3.10, but with (I hope!) a nice integration of classic mode and defaulting to this mode. Maybe I’ll come back after 2 years suffering with Xfce, but sticking closer to a good old Gnome 2 user experience? !